The non-Muslim world cannot win in a war against Allah, the Great Mahdi, with outer space weapons or inner space weapons. It does not matter, for He has power over everything—the forces of nature and even our brains. He turns them to thinking and doing that which pleases Him. The great waste of money to build your defense against Him or the third World War is useless. You don’t need Navies, ground forces, air forces and standing armies to fight this last war. What America needs to win is to give freedom and equal justice to her slaves (the so-called Negroes). This injustice to her slaves is the real cause of this final war. Give them up to return to their own or divide with them the country that you took from their people (the Indians), which they have helped you to build up and maintain with their sweat and blood for 400 years. They even gave all of their brainpower to you. They helped you kill anyone that you said was your enemy; even if it was their own brother or your own brother. What have you given them for their labor and lives? It is just a job to labor for you. You hunt them and shoot them down like wild game, burn them and castrate them, and they are counted as sheep for the slaughter—all who seek justice. You have continuously persecuted me and my poor followers for 25 years. Both fathers and sons are sent to prison, just because we believe in justice and teach our brethren the same. We are imprisoned and forced to eat the poison and divinely prohibited flesh of the filthy swine as our food, to your joy. You set your agents and guards around and about our meeting places, where we are trying to serve the God of our fathers, to frighten our poor, blind, deaf and dumb people away from hearing and believing the truth. With 50 states, which equal approximately 6 million square miles, with billions of dollars in gold buried and rusting, which we helped get for you, yet none is ours—not the tiniest or the worthless state of yours have you offered your loyal slaves. Not even one square mile for their 400 years of labor and lives. We, the so-called Negroes, are the prey. Thou are the Mighty, the terrible ones, thanks to Allah, the Greatest, who is with us, to save and deliver us, His people—20 million members of the Tribe of Shabazz—who must have some of this earth that they can call their own. Their God will give it to them. But woe unto you, the unjust judges, for the Son of Man shall destroy thee and give the kingdom to the slave. He is not to come. He is here! Believe it or not, I seek refuge in Him from your evil plannings. 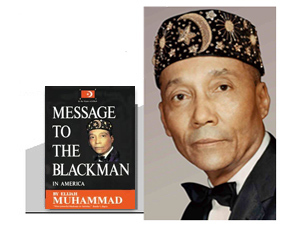 You have been so busy trying to keep your slaves (the so-called Negroes) under your foot, sitting, watching, spying on them to prevent them from knowing the truth of this day of our salvation, that you have failed to see and learn the strength and power of your enemies. You have boasted that you could police the world and have come pretty near doing so, but have failed to see the “bear” behind the tree and the “lion” in the thicket. The sky over you is being filled with your enemy’s arms, which can be seen with the naked eye. Woe, woe to America! Her day is near, and she shall be visited. Your enemies warn you that the third and final World War will be decided in your own country and not in theirs. Remember the old Bible’s sayings: “Wheresoever the carcass is, there will be eagles gathered together.” (Matt. 25:28) You must understand and know to whom the parable is directed.